Today’s suit fabric has brown chalk-stripes over a kind of dark blue/bluish black background. 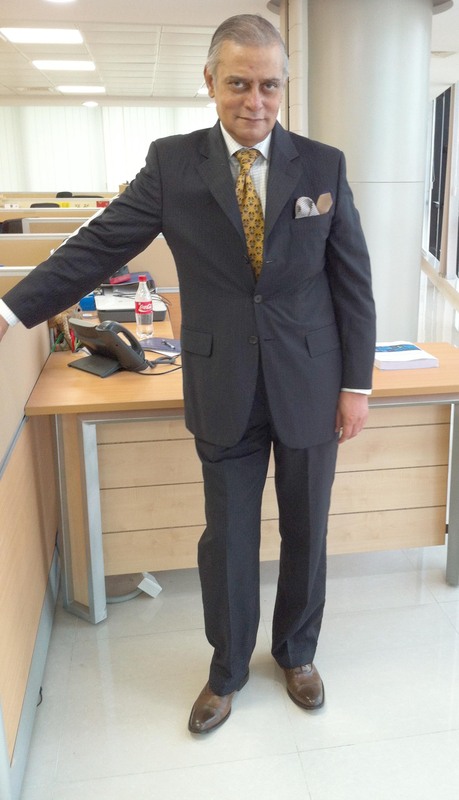 The suit is three buttons, notch-lapel, and unlike most of my suits, has no back vents. My preference is two back vents. 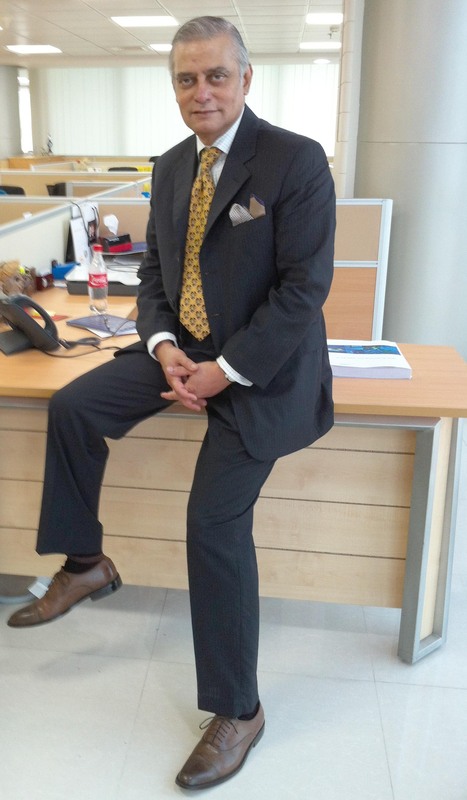 I would say this suit is also a tad lengthy–in my opinion two inch shorter would have been ideal. 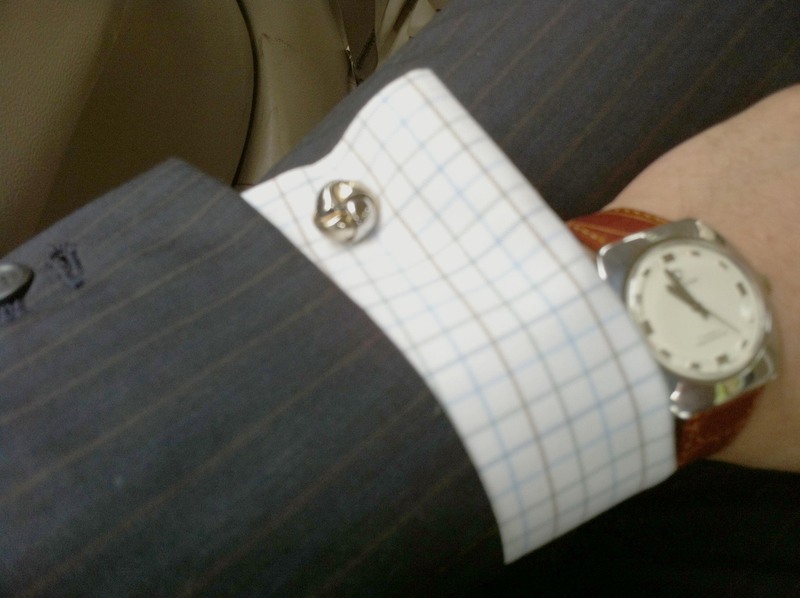 I paired the suit with a graph-check shirt with french-cuffs. Today I chose to wear a patterned silk necktie in yellow/brown shade to complement the brown colors in both the shirt and pocket square. 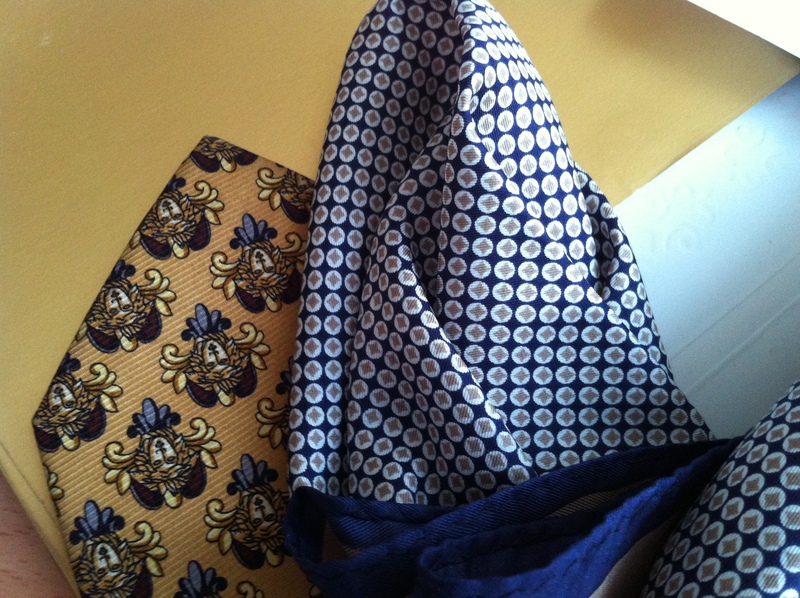 The pocket square has two colors; navy and brown. The shoes I am wearing today are brown cap-toed oxfords. 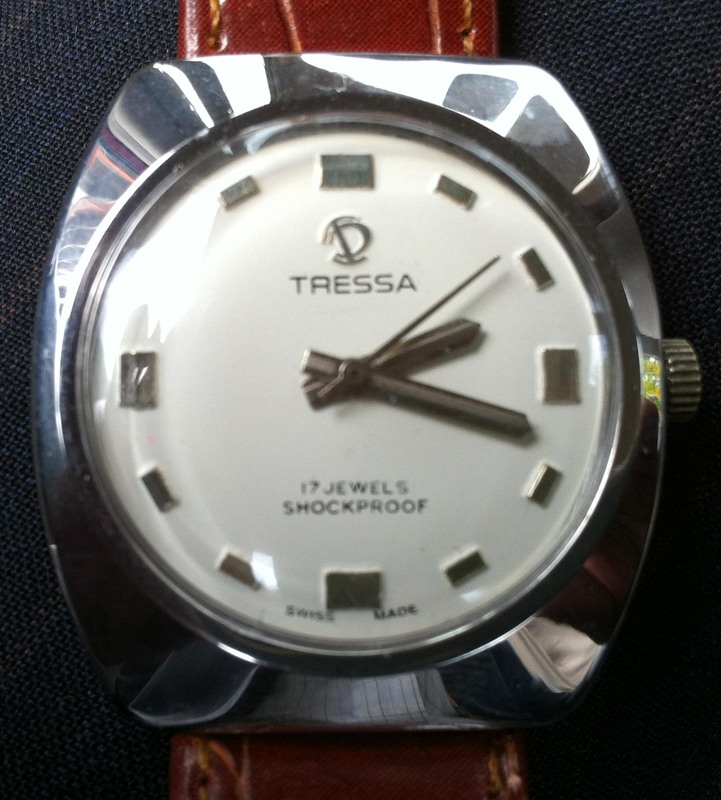 Today’s I am wearing a 1960 vintage 17 jewels Tressa, manual winding, stainless steel watch. By the way, I am also wearing a brown belt today. Thanks Amit. You are correct–all photographs in the blog are by a iPhone 4 camera. Sorry, for the low quality.